One of my research agenda is to examine how much cooperation can be sustained in a long term relationship, where each agent obtains imperfect information about the opponents’ actions. I am also interested in market design, in particular the theory of two-sided matching. 2006, “Efficiency in Repeated Games Revisited: The Role of Private Strategies” (joint with I. Obara), Econometrica, Vol 74, No. 2, February, 499-519. 2008, “Decentralized Trade, Random Utility and the Evolution of Social Welfare” (joint with R. Serrano and O. Volij), Journal of Economic Theory, Vol.140, .No. 1, 328-338, (May). 2008, “Repeated Games”, in New Palgrave Dictionary of Economics, 2nd edition, Palgrave Macmillan, (May 30, 2008). 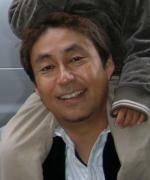 2009, “Understanding Stable Matchings: A Non-cooperative Approach” (with F. Kojima and Y. Yasuda).